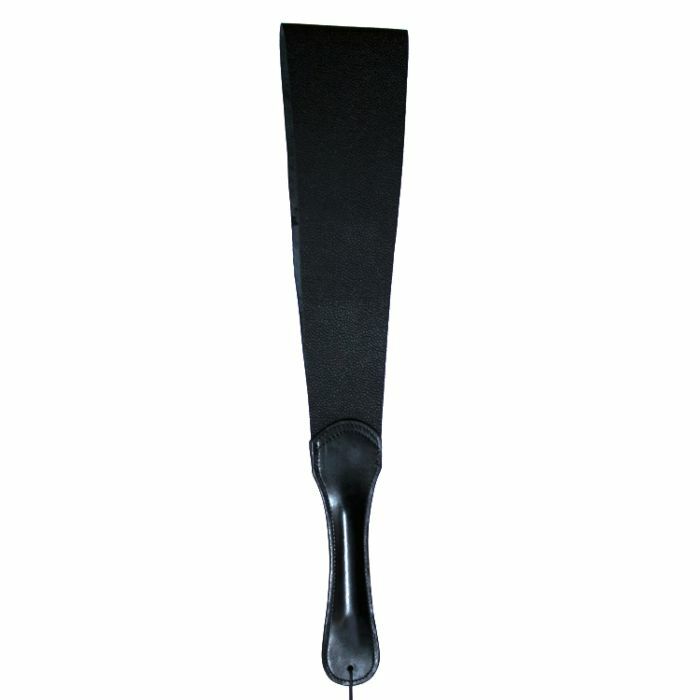 Get slap happy with the UberKinky Leather slapper paddle. This formidable punishment strap is made from a soft, supple leather material with just the right amount of rigidity for an impressive SLAP! Great as a warm up for more intense impact play like caning or equally impressive on its own, the UberKinky leather slapper paddle will be right at home in your impact play arsenal. The long, slender handle fits just right in your hand; its rounded tip keeps your grip true. The texture of the slapper gives just enough grip as it makes contact with your sub’s bottom to leave a bright red sting they won’t soon forget.